You control the pace and flavor of your yacht vacation. You can choose a vacation where your most ambitious moment is taking a lazy swim in tranquil blue and green waters of a deserted tropical cove. The ships steward asks if you would like another glass of champagne or a bite of lunch. Afterwards, as you contemplate what book to read or a soak in the hot tub while silky breezes ripples the surface of the water. Or perhaps you prefer an action-packed day of sports fishing, scuba diving, water-skiing, jet skiing, snorkeling or windsurfing followed by exquisite dining, glittering night-life and unique shopping. 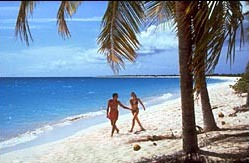 Or perhaps you prefer exploring tropical rain forests or exhilarating archeological sites. 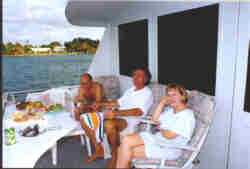 With a private yacht charter, we can design a vacation to pamper you to your specifications.